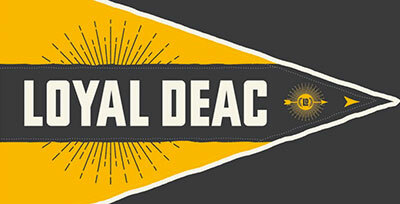 Today we’re going to talk about the Declaration of Independence: your independence, and your Deacs’ independence. For those who are longtime Daily Deacers, you are familiar with me talking about the Stop, Drop, and Roll method for student problem-solving. In essence, it means when your Deac contacts you with a problem, you are to stop in your tracks, drop whatever you are planning to do to solve the problem/provide the answer for your student, and instead roll with whatever they decide. There are some nuances to Stop, Drop, and Roll that are worth talking about. One of those nuances is that while many families understand the concept that they should not jump in when their student has a problem, they might be willing to help with what feels like simple day-to-day issues (my son/daughter is so busy, if I can take X off their plate, it will help them out or be an act of love). Taking those kinds of well-intended actions to help your student might not really be helpful. makes calls to an administrative office (instead of the student) to resolve an issue or to find out some general information (room size, res hall closing date, etc.) Why is this not helpful? 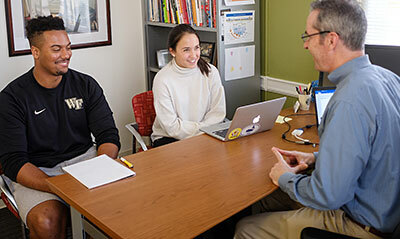 Your Deacs need practice researching how to accomplish administrative tasks – and so many of them are text-only creatures, some practice having a phone conversation would help them improve their phone skills. researches potential classes to take and makes suggestions or even plans the student’s schedule. Why is this not helpful? Only your Deac will know what he/she is interested in taking. And if a parent or loved one suggests taking X or Y class, that could put pressure on the student to take something that is not of interest just to please you – and if a student is not happy taking X class, it is likely the grade is not going to be an A (or maybe not even a B). 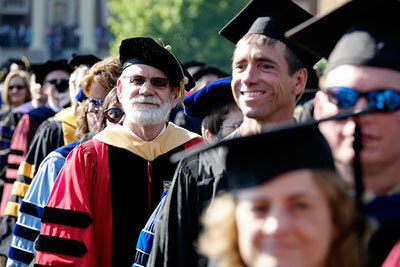 researches potential study abroad programs. Why is this not helpful? Studying abroad is a transformational experience. 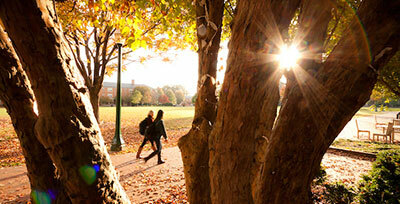 Students should be free to look at all the potential places he/she may wish to study. It takes an enormous amount of independence and resourcefulness to spend a semester in a foreign country – so your students should have to do all the work to research and plan for that, so they brush up their planning and independence skills before departing. prompts your student about deadlines or due dates – or texts their student to be sure they get up in the morning. Why is this not helpful? It teaches your student to rely on you to tell them when/what to do things. You are not going to be with them on their first job to coach them through a project. They need to learn self-management and organization now. I gave this example at a New Student Reception this summer: imagine your daughter is pre-med and she has a big chem test this week and she’s super stressed. She’s also got a nasty cold and is feeling cruddy. There is some issue with her room and she needs to work with Residence Life and Housing to resolve it – and she calls you to grumble about all the things on her plate. You – as a loving parent/family member – think you will help her by making the calls to Res Life and maybe even ordering her some food to be delivered. Short term problems solved. But let’s play the long game here. One of these days, your daughter is going to be an adult in the work force, and she might have a big work project due, a vomiting toddler that morning, and her air conditioning goes out. And she is going to have to figure out how to get childcare, rearrange her work schedule, and get the repairmen there. She will have to handle all those things at once. And she will be better at it then, if she gets that kind of practice NOW. I know it might feel like you are being a mean mom or a mean dad or family member if you have the ability to make your kid’s life easier in some way and you don’t do it. Remember in those moments that your Deacs need to learn how to be self sufficient. And you might think I am being mean if you call me and ask how to get X or Y done for your Deac and I tell you that your student should call me to ask that question, or your student should call the correct office to handle it. I promise you I am not trying to be unhelpful, lazy, or mean. This is my gentle attempt at tough love. Because I know that when your student calls and takes care of his/her own business, he/she will gain more respect from that office for taking ownership and responsibility. When mom or dad call for the student, that can handicap the student’s relationship with the office, because it robs the student of the chance to connect and make allies there. So if I push back at you and urge you to let your Deac do the work, know my motivation is to help your Deac grow and learn. So, I urge you to make a Declaration of Independence with your Deac. If calls need to be made, make them do the calling. If classes or programs need to be researched, let them do the leg work. If they are having a tough week like the girl in our chem example, offer your love and sympathy – but no rescuing. Talk to them about this before you send them back to school. Let them know this is not you being mean, it is you giving them the gift of growth and self-sufficiency. One final thought: in recent years, college parents nationwide have begun to talk about their students’ college activities in the plural: “we are trying to figure out room size to see if a rug will fit,” “we are looking into which classes we should register for and have questions” or “we are wondering about a potential roommate switch” – as if the parent or family member was an equal actor in the process. Those are all experiences that should be your student’s, and your student’s alone. As subtle as it may seem, if you use “we” language for what should be your student’s individual action, it potentially colors the experience that college should be a joint effort. And since parents/family members are older and wiser, it makes it that much easier for students to look to you for answers instead of learning the answers themselves. And know that you will be doing your students an enormous favor (and providing a huge advantage to them later in life) by letting them do for themselves now.